Several months after launching Amazon Australia, Amazon's have now brought their Amazon Prime premium membership tier to the local market. “We hope that Australians will love free two business day delivery on products from Amazon Australia and free international delivery on products from Amazon U.S., all available to customers on Amazon.com.au,” says Jamil Ghani, Vice President, Prime International, Amazon. The headline feature here is expedited-delivery. Amazon say that Prime members in Australia will enjoy free two-day shipping with no minimum purchase on Amazon’s domestic selection of Prime-eligible products. More specifically: free two business day delivery is available to customers in Adelaide, Brisbane, Canberra, Hobart, Melbourne, Perth and Sydney and regional cities such as Albury-Wodonga, Bendigo, Gold Coast, Gosford, Newcastle, Shepparton–Mooroopna, Toowoomba, Wagga Wagga and more. Meanwhile, Amazon claim Prime members in more remote or rural locations will receive free expedited shipping in as fast as four or five days. 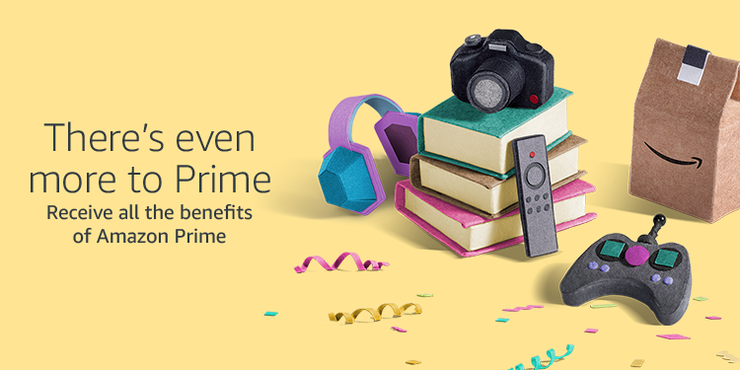 In addition to faster shipping, Prime membership comes bundled with membership for Amazon Prime Video, Amazon Prime Reading, Twitch Prime, access to exclusive deals, free release date deliver and the ability to shop with your voice using Alexa. The only conspicuous omission here is Amazon's Unlimited Music streaming service, which isn't included. Customers in Australia can try Prime with Amazon’s 30-day free trial, and then join Prime for AUD$6.99 a month, or save 30 per cent with an annual payment of AUD$59. Until 31 January 2019, Australians can take advantage of an introductory promotional price of AUD$4.99 a month.